Aires continues its prolific release schedule with a number of recent releases in 1/72 and 1/48 scales. 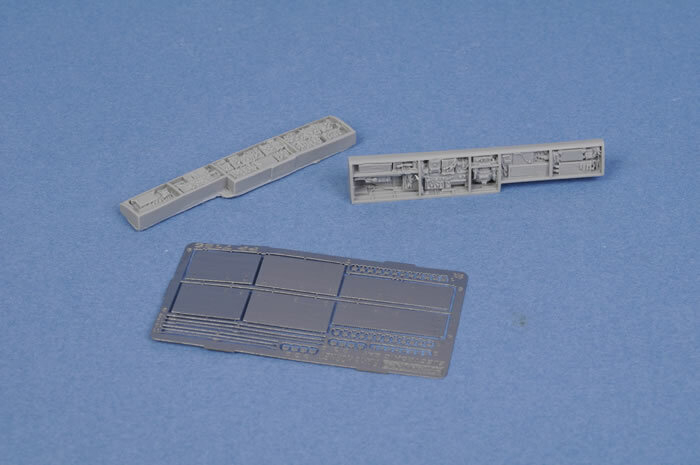 This is an upgrade of Hasegawa's early Hornet kits comprising two resin parts plus a photo-etched fret. 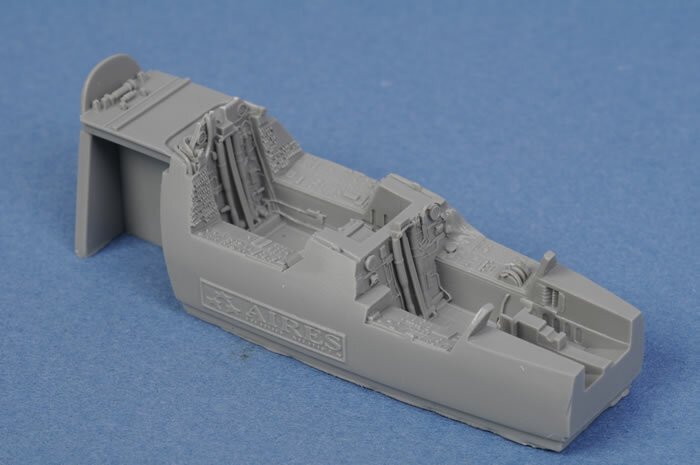 Note that some careful cutting of the Hasegawa fuselage will be required to display the bays. A set of replacement nozzles in the open position for Hasegawa's early Hornets comprising six resin parts plus a small photo-etched fret. 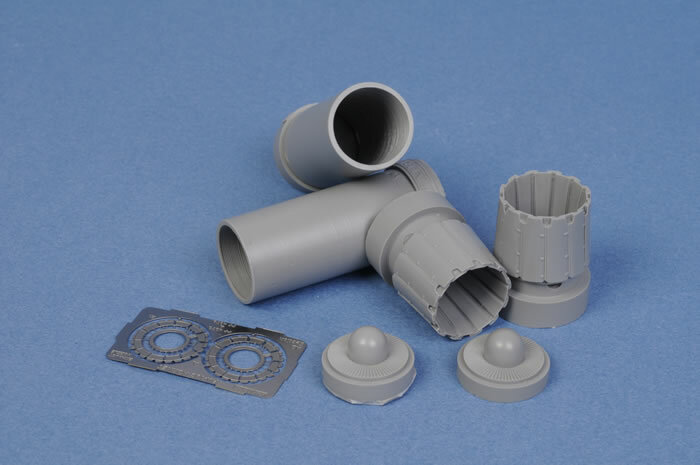 This upgrade should be within the capabilities of any modeller that has used a few resin parts already. 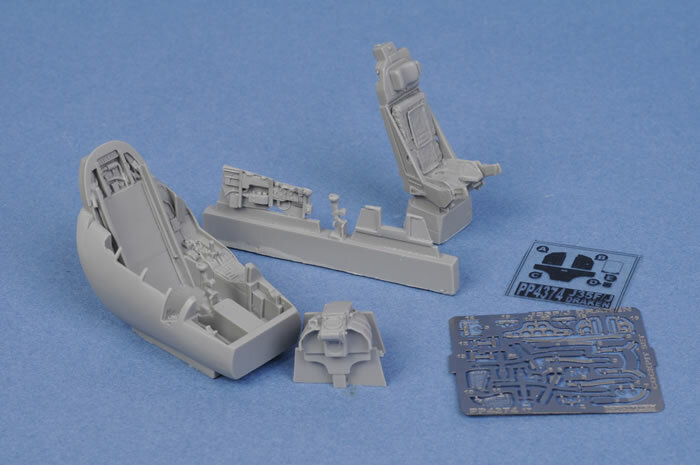 Aires has produced a gorgeous replacement cockpit for Hasegawa's 1/72 scale F-14B. The level of detail is excellent, as may be seen in this photo and the close-up of the cockpit tub at the top of the page. 15 resin parts are supplemented with a photo-etched fret and a clear acetate sheet. 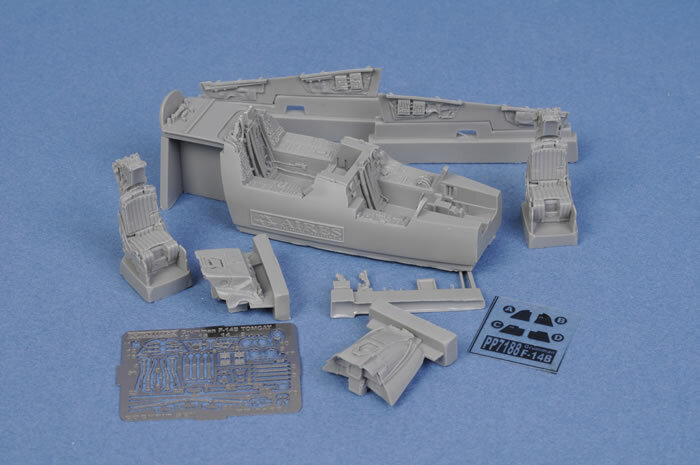 This time Aires focuses on the 1/48 scale Hobby Boss F/a-18A kit. 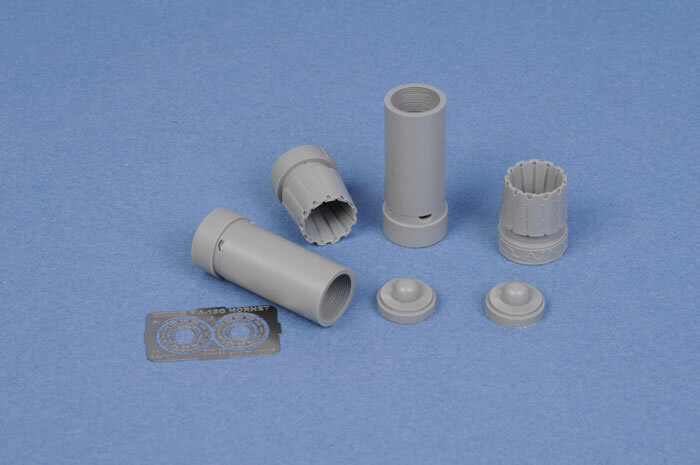 These exhaust nozzles are in the open position, and comprise six resin parts plus a small photo-etched fret. Detail is excellent and casting of my sample is perfect. Hasegawa's Saab Draken will greatly benefit from this beautifully detailed cockpit. The tub is cast as a single part with a wealth of deep detail. The seat is cast with very natural looking cushions in place. Harness straps and smaller details are supplied on the photo-etched fret. An acetate sheet provides instrument and screen details. This is a simple and well detailed replacement for Monogram's Tante Ju. 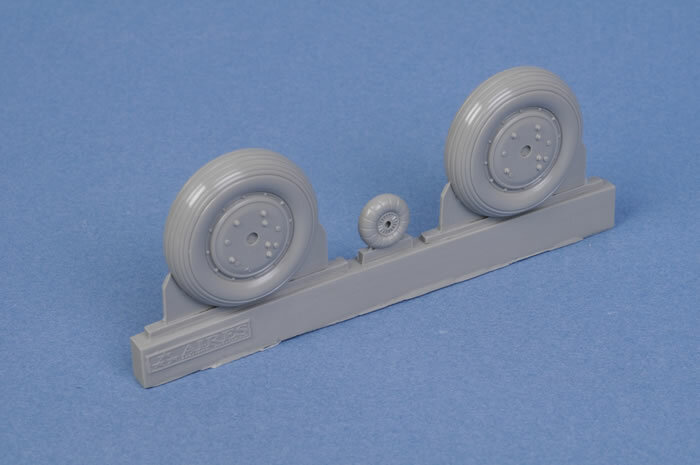 Main wheels and a tail wheel are included.